We can use the modelling and transfer function analysis which we have learnt in previous chapters when we go on to design controllers. 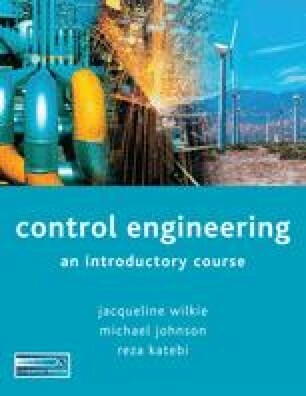 However, before we look at control design, we need to specify what performance we require from the controlled system. Do we wish the response to move rapidly to its set point? Do we accept that the system may take some time to settle down? Do we wish to react quickly to disturbances on the process? These requirements lead to a set of design specifications which can be expressed in terms of a number of parameters which are related to the process’s step response.